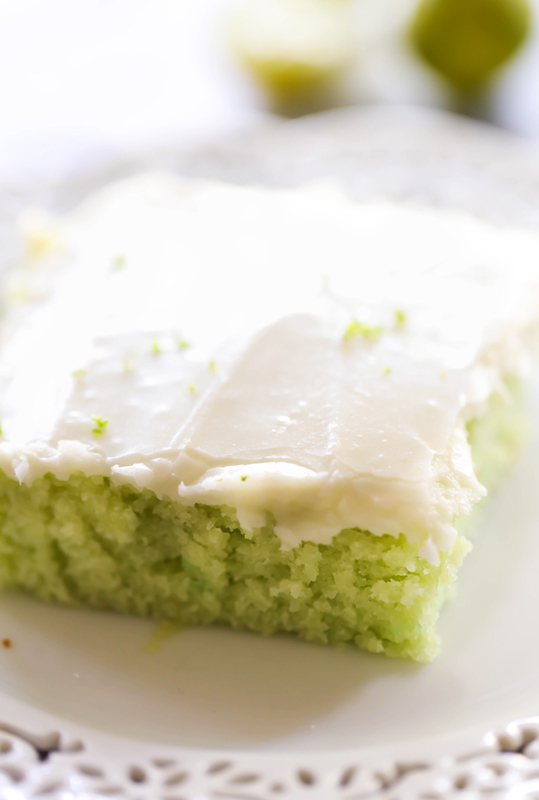 This Key Lime Sheet Cake is a tart and sweet cake with a delicious creamy frosting. It has a light and refreshing flavor and is loved by all who try it! If you love the citrusy flavors, then this cake is for you! If you can’t tell by now, I LOVE sheet cakes. Whether its a Peanut Butter Sheet Cake, Caramel Apple Sheet Cake, German Chocolate Sheet Cake or a Creme Brûlée Sheet Cake… I couldn’t say no to any of them! 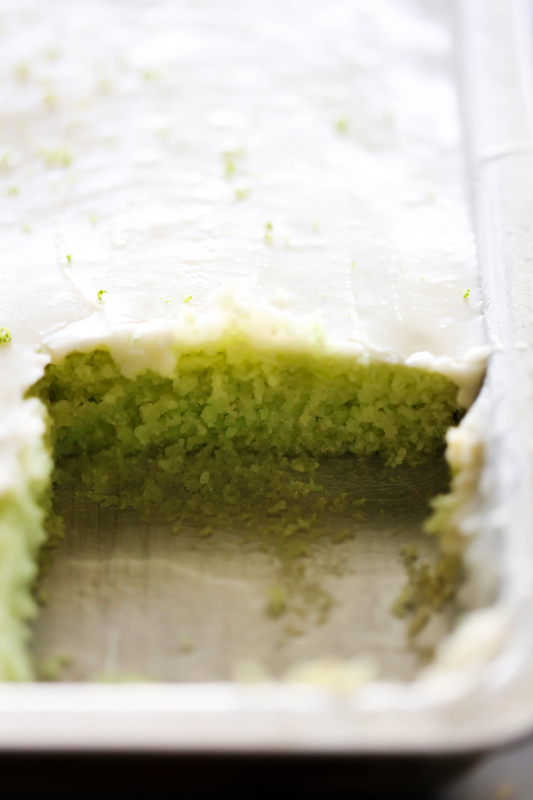 After making the Key Lime Bundt Cake, I knew I needed to get in a Key Lime Sheet Cake before summer ended. Key Limes are so cute and little but jam packed with tart and tangy flavor. This Cake has such a tart and sweet flavor all at once. The creamy frosting on top is the perfect finishing touch and together the cake and icing make a heavenly bite each and every time! If you are a fan of the citrusy flavors, then this cake is an absolute MUST! I know you will love it as much as we do! Spray a 15x10x1 inch baking sheet with cooking spray and set aside. In a medium sauce pan, combine butter, water, and shortening. Bring to a boil. After mixture reaches a boil, add key lime juice. Next add the flour/ sugar mixture and stir to combine. Combine butter, and milk in a medium sauce pan and bring to a boil, stir in key lime juice, powdered sugar and vanilla until smooth. After cake has cooked cool for 15 minutes, and poke holes in cake with a fork. Spread frosting evenly over the top of the cake. Are key limes available this time of year? This cake is one of the best cakes I've ever made. It was very moist and full of citrusy flavor. I did poke the holes in the cake but I won't the next time. Its not necessary and the holes show through the frosting.